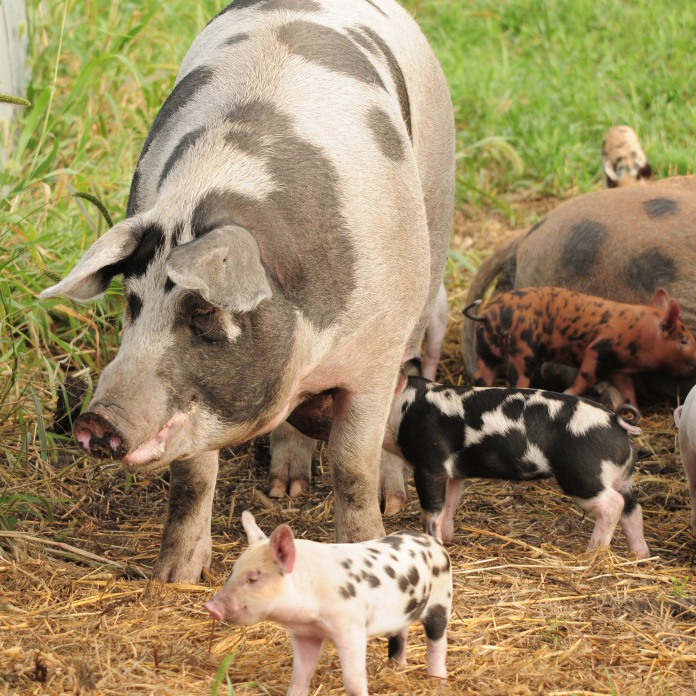 All Niman Ranch animals have room to roam and raise their young as they're meant to. The Niman Ranch network today includes more than 700 family farmers and ranchers throughout the Midwest, Rocky Mountains, Pacific Northwest and Mid-Atlantic. There are no corporate mega-farms in this picture. Niman Ranch is made up of individual families, and they all share the same commitment: raising hogs, cattle and lamb traditionally, humanely and sustainably to produce the finest-tasting meat in the world. Niman Ranch leads the industry in sustainable and humane agricultural practices. They work with the largest network of American family farmers and ranchers — more than 725 and growing. Their humane raising protocols were developed under the guidance of renowned animal welfare expert Dr. Temple Grandin, and are the strictest in the industry. Their animals are never given antibiotics or added hormones — never EVER — and are only fed a high-quality, 100% vegetarian diet.